This spectacular bird is a relatively new species to Florida, colonizing the state in the 1950s. 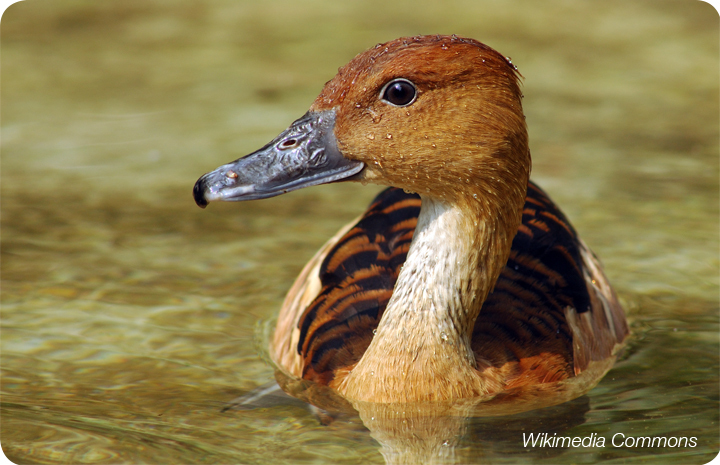 Whistling-Ducks behave more like swans and geese than like ducks. The male takes care of the ducklings and mated pairs stay together for many years. Their whistles are most often issued during flight, which is often the best way of locating them. They can be difficult to find because they prefer to stay hidden in tall marsh grasses. Look for them early morning and in the evening when they are often flying around in small to large flocks. Lake Apopka and STA-5 are the most reliable Birding Trail sites to see Whistling-Ducks.